The return of beat maker extraordinaire Dusty Ohms is one not to be missed. 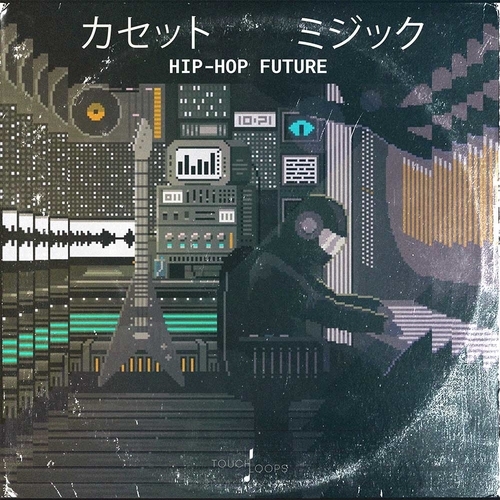 Touch Loops is fusing together future hip-hop samples, UK Grime and classic Beats, Future Hip-Hop delivers on all fronts. From years of experimentation, DJ’ing and collecting stacks of old hardware, samplers and synth our producer of choice knows exactly what it takes to shake a sound system and get a crowd truly moving. From the tasteful saturation of MPC’s and outboard to the location recordings and synth design showcases a producer who 100% owns his craft. Slammed inside this epic hip-hop collection you’ll find grime inspired beats and drums, trap tinged hi-hat loops, lo-fi hip-hop & 16 bit influenced synth loops, game boy tinged lead lines and everything in between. There’s also a batch of trademark sub bass lines, melodic and drum heavy one shots plus some stunning analogue rich pads and ambiences.